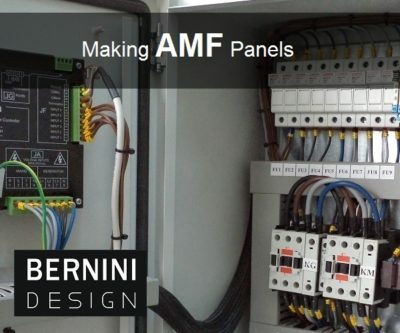 Learn how to make Automatic Mains Failure panels and Automatic Transfer Switch panels. This PDF hand-book describes in simple words and drawings the basic principles to make generator control panels. The guide includes step-by-step examples in a way that you will be able to make panels in the size 15 up to 200kVA. Once you purchase the book, you will receive free updates and additional information to keep you update on the STATE-OF-ART products. A 60KVA AMF panel 'step-step guide' is included as example. Ambient temperature -20 to 70°C. -30 to 70°C. -30 to 70°C. -30 to 70°C. In these videos you are going to see the main features of an AMF controller and how the AMF control panel works. There you are some specific examples. The AUTO mode operation may require some additional explanation. 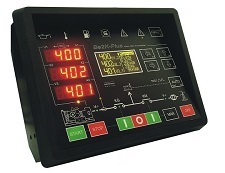 The Be142 AMF controller continuously monitors the status of the MAINS. 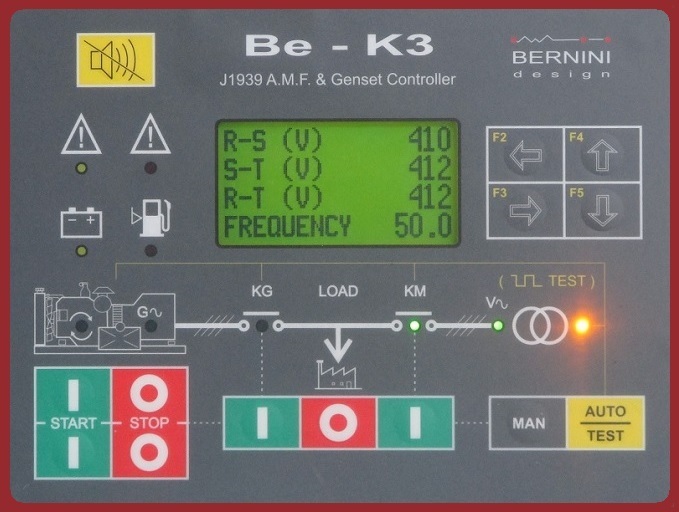 The Be142 AMF controller allows you to set low/high limits for Mains Voltage and low/high limits for the Mains Frequency. 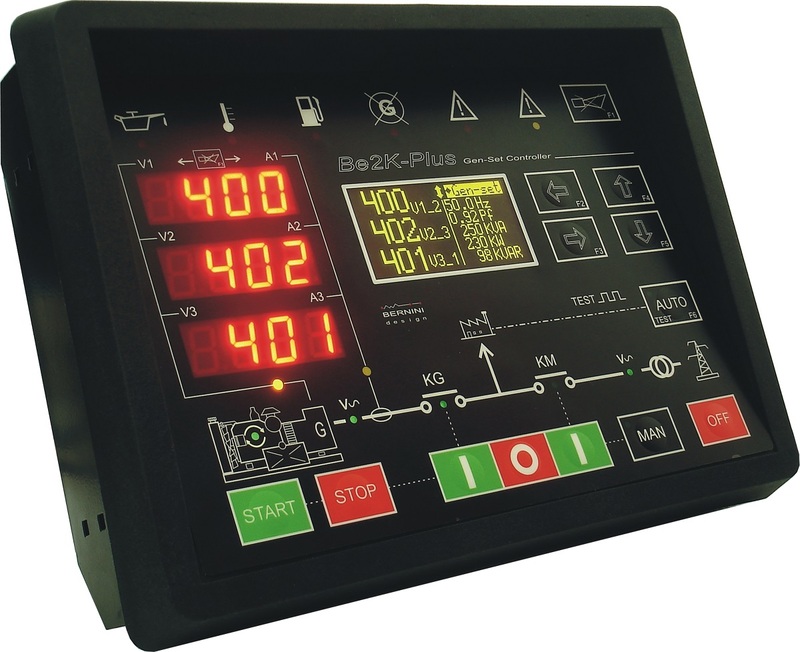 In other words, when the voltage and the frequency are within the limits, the Be142 AMF controller transfers the load to the Mains. If the voltage drops below the lower limit (or rises above the high limit) or, if the frequency drops below its limit (or rises above its limit), the Be142 AMF controller will disable the Mains circuit breaker. This prevent, after a programmable delay, a severe damage to your load. So, we can say that Be142 AMF controller prevents, in the first place a damage to your systems. 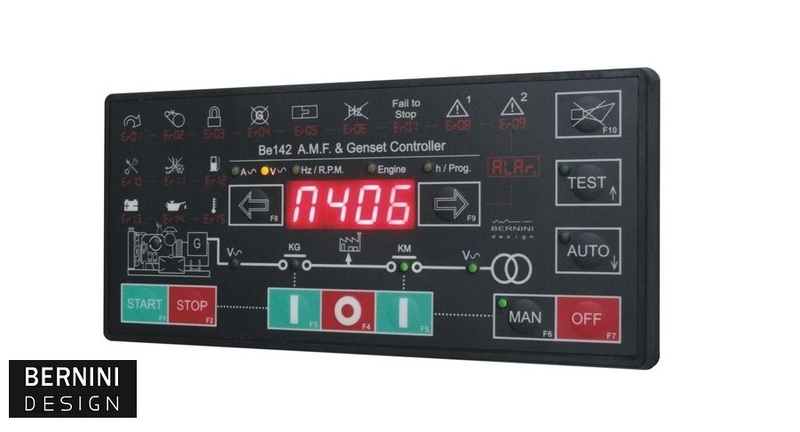 Then, if the failure persists for a long time (a programmable timer is available ranging from seconds up to hours) the Be142 AMF controller will take care to start you emergency generator. 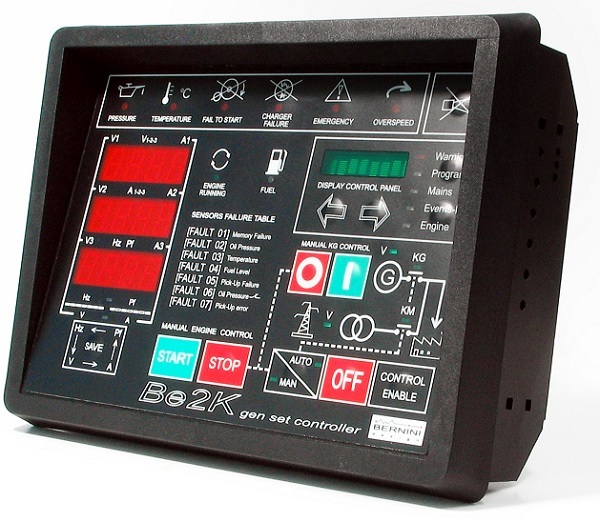 Once again the Be142 AMF controller does its business to check the quality of the generator voltage and frequency. 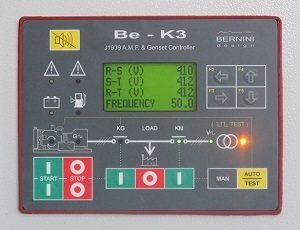 Once detected that the parameters are within the programmed limits, the BE142 AMF controller will enable the generator circuit breaker. Now, in case of prolonged power outages, your load is safely supplied by your emergency generator. 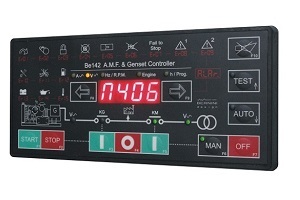 Be142 AMF controller as we understood before does not forget to pay attention to the Mains. So, when the Mains parameters will return within the programmed settings, the Be142 AMF controller will transfer the load to MAINS. This will happen after a delay that will ensure that the Mains is in stable conditions. Once your load is connected to the Mains, the engine will run for a programmable time (so called COOLING DOWN TIME) without load. After the cooling down time the engine will stop and the BE142 AMF controller (and consequently the AMF control panel) is ready for a new power outage.